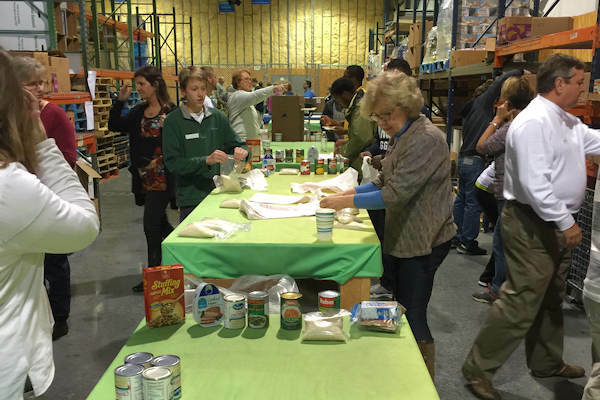 Roughly 50 College Parkers worked together on Sunday, November 15, 2015, to help feed local hungry families and have fun. 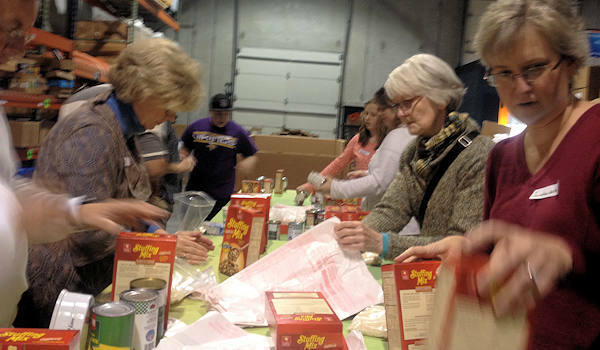 We worked at Out of the Garden Project (OOTGP) warehouse for a couple of hours as one of our quarterly church-wide service projects – packing enough bags of food for 600 students! Our local mission workdays are called Energeia (Greek for “working”). The Out of the Garden Project is a grassroots, volunteer-driven program that serves 15,000 meals a week to families of local, underserved public school children. The need is real; 67 percent of our kids receive free/reduced meals. Watch for our upcoming survey about how you can volunteer for OOTGP. Make a gift (any size). College Park makes it easy. OOTGP is one of the worthy projects on our Angel Trees this Christmas season. OOTGP envelopes are included in our 2016 offering envelopes. College Park-ers Don and Kristy Milholin started Out of the Garden Project in their home about six years ago, packing a bag of food for 10 families to give every Friday to provide enough food for a weekend. They had no idea what was in store. 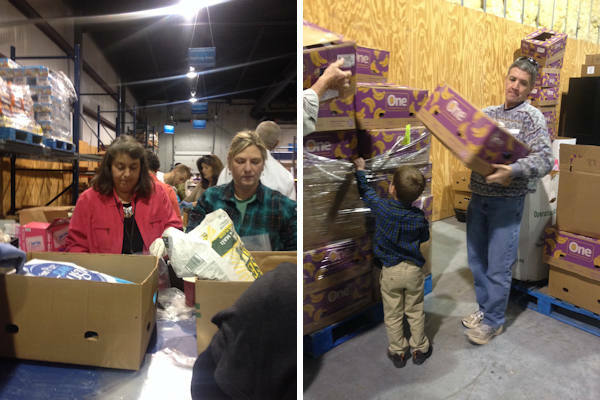 Today, they (with the help of 600 volunteers) provide 15,000 meals each week. They provide bags of food for 1,300 families in 50 schools every Friday. Their 19 monthly Fresh Mobile Markets provide 65 pounds of food to 1,200 families each month. This includes $1 million worth of fresh produce and meat that is given by grocery stores and shippers (800,000 pounds a year) – usually short dated food that cannot be sold. All of this food is diverted from the landfill to feed hungry people. They give food out of the back of their trucks, and they never know what food they receive each week. So if they received a pallet of bananas, families will receive those bananas within a few days! 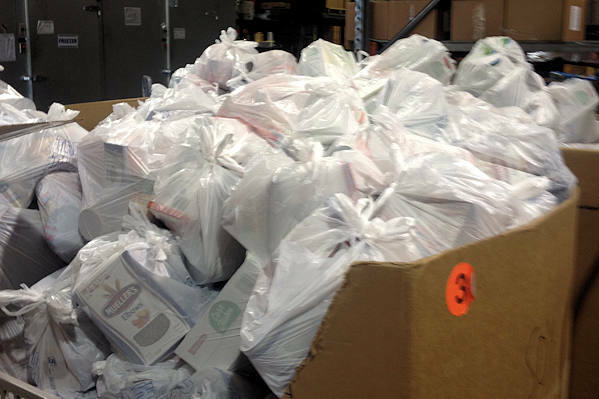 As a new program for this year, they pick up unused food from 12 school cafeterias, repackage and send to city rec centers to feed an evening meal to needed families (this will divert 300,000 pounds of food from going to the landfill). Go to their website for more info!